This entry was posted in Projects and tagged blooms, Farm, farm fresh, featured artisan, featured artist, felt, felt flowers, felting, fiber, fiber art, hand-made, handmade, wet felting, whimsy, wool by Sheepy Hollow Farm. Bookmark the permalink. Lovely site, I want to make felt soap. Hi Pauline! Thank you! 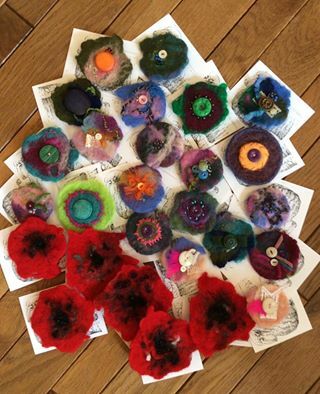 Felt making is magical and wonderful… and really no tools required! Felting soap is very nice and a fun project! Have fun! !